This weekend I attended the Gettysburg Retreat hosted by Maryland Romance Writers. 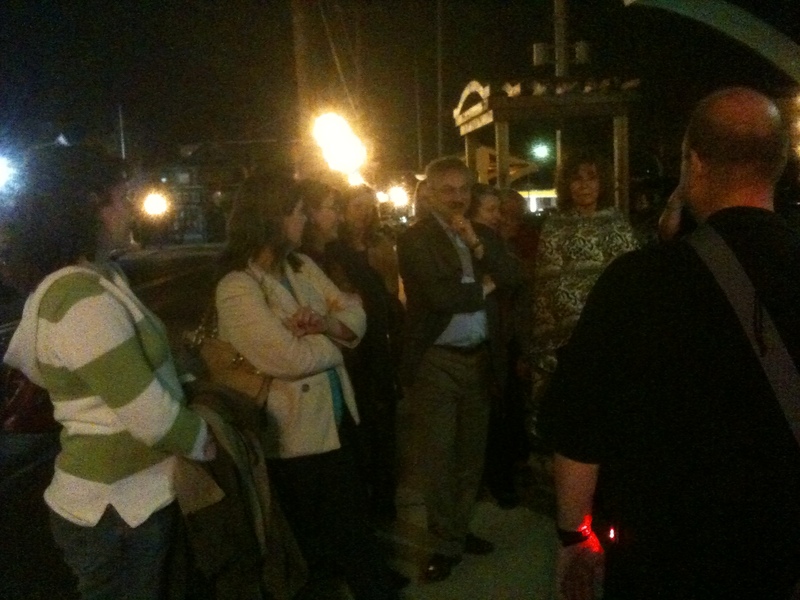 The main workshop was on Screenwriting Tricks for Authors with Alexandra Sokoloff, but a highlight was the evening ghost tour through historic Gettysburg. 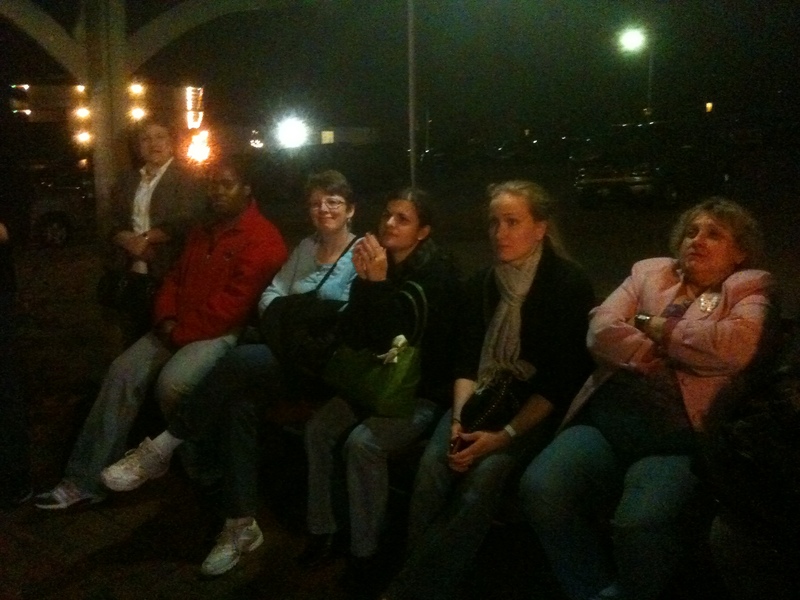 Chapter members searched for signs of spirits and paranormal activity by taking lots of photos into the dark. I didn’t get anything showing up. 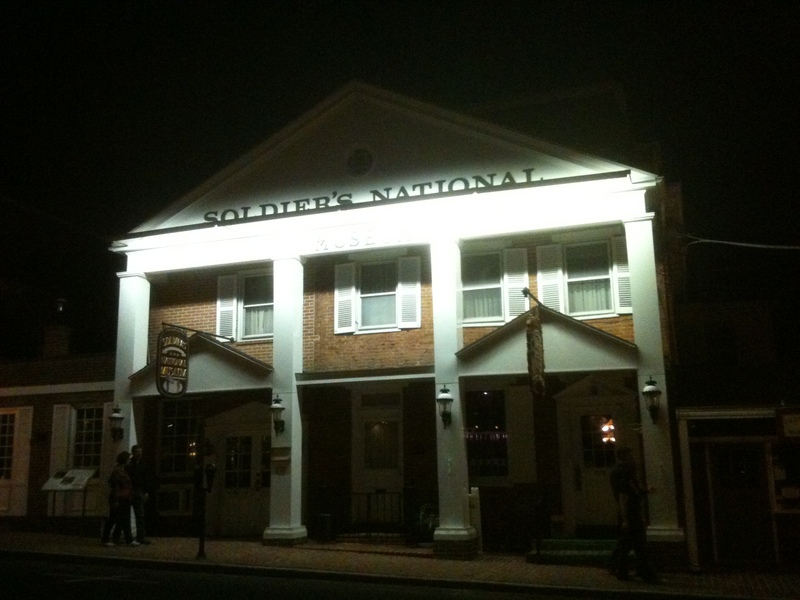 The creepiest building was this Soldier’s Museum which used to be a Orphan’s Home. Let’s just say our guide’s stories of the matron weren’t pretty. Half the group bugged out after a few minutes in the stone basement. It’s a feeling I will remember well to describe in novels. Yeech. What a writer will do for real-life experiences.